“For months, the congressman has said he wants to support the GOP candidate. He’s not there yet and doesn’t see a path to get there at this time," a spokesperson for Kinzinger said. Rep. Adam Kinzinger made it clear Thursday that he won’t back Republican presidential nominee Donald Trump. 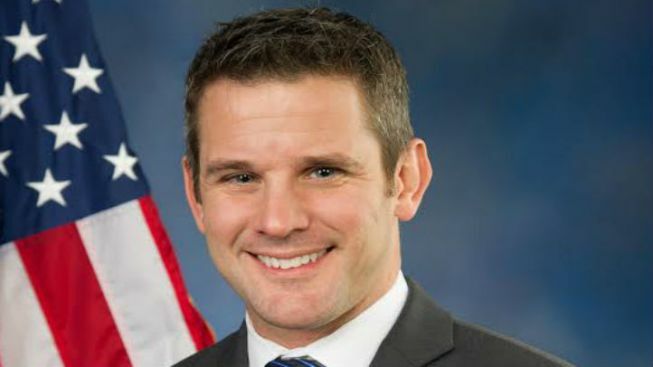 During the interview, Kinzinger voiced concern about Trump’s effect on down-ticket candidates and noted that he was considering writing in a candidate on the presidential ballot in November. Gillespie expounded on the stances that Kinzinger opposes. “The congressman is concerned, and rightfully so, on the various stances being taken on foreign policy,” Gillespie said. “Isolating from NATO, befriending Russia, and disparaging our military and their families are not things Congressman Kinzinger supports." Kinzinger is running unopposed in his bid for reelection in Illinois’ 16th Congressional District.